Confinement is based on a personal memory of the artist and was started several years ago. It was revisited and reworked a number of times and, finally finished in the spring of 2016. 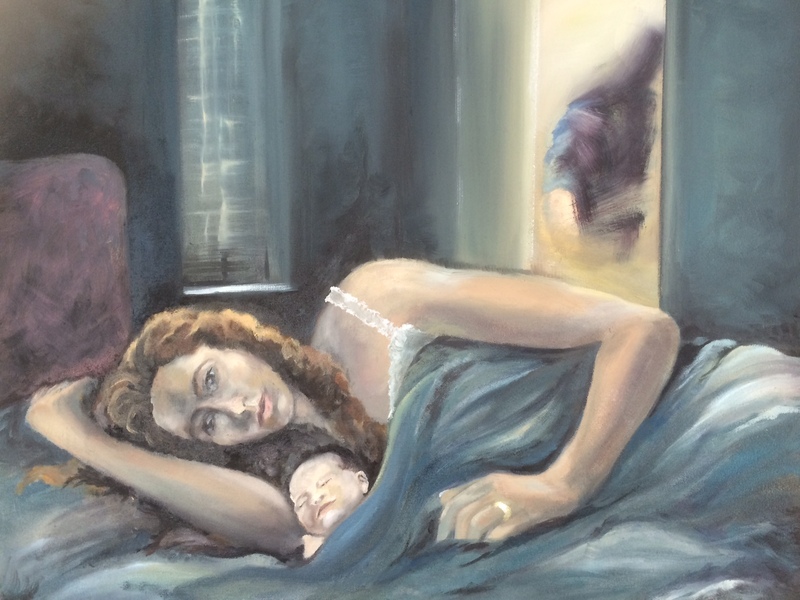 It is based on a memory of being a mother for the first time and how the all consuming experience impacted on her relationship with the father. Here she lies on the marital bed close to her newborn baby, exhausted and feeling somewhat juxtaposed from her old life of a couple. The baby, very much loved, is like a barrier between the two. The father enters the room and, on seeing the intimacy before him, leaves quietly, uncomfortable with the intrusion.